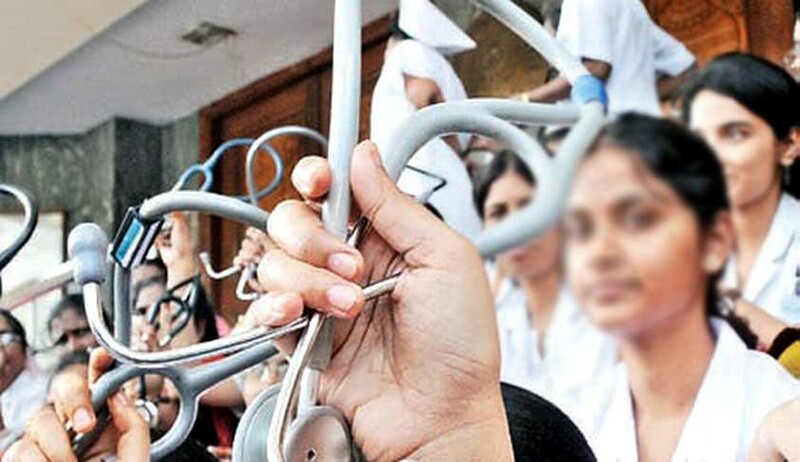 The Bombay High Court on Tuesday directed all government-run hospitals to take action against doctors on strike ‘as per law’, apart from ‘initiating contempt proceedings’. A division bench of Chief Justice Manjula Chellur and Justice GS Kulkarni was hearing a PIL filed by RTI activist Afak Anwar Mandaviya in 2015. The petitioner recently submitted before the court that there was urgency in the matter as “more than 50 patients died on account of mass strike of 4500 resident doctors across the State of Maharashtra”. In May 2016, an affidavit was filed on behalf of the Maharashtra Association of Resident Doctors (MARD) before the HC, stating that they would not call for any strike. Throughout the course of hearing in this PIL, various examples of doctors being attacked by family members and relatives of the patients were given. Thus, the security of these resident doctors remains a concern. Last year, the state government had provided extra security at hospitals in the city as some doctors called a strike, and assured the HC that all necessary steps will be taken in order to prevent assaults on doctors. Petitioner’s lawyer Datta Mane argued that the striking doctors were in contempt of previous court orders and “around 58 patients have died in the state due to this mass strike”. He sought for the strike to be called off immediately and declared illegal as it was causing hardships to poor patients who cannot afford going to private hospitals. Today was the second day of the mass strike and hearing in the case would continue tomorrow.